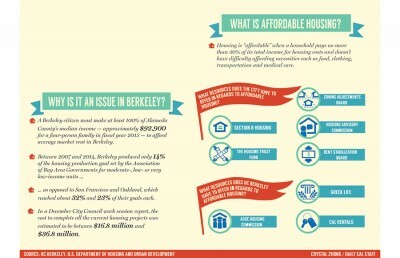 The UC Berkeley Progressive Student Association, or PSA, filed a complaint Monday against the Committee for Real Affordable Housing for alleged violations by the “Yes on Measure DD, No on Measure U1” campaign, according to a statement from the ASUC Housing Commission. PSA Vice President Matthew Lewis said the campaign, which is sponsored by the Berkeley Property Owner’s Association, or BPOA, failed to correctly disclose donors on advertisements in favor of Measure DD. This prompted the PSA to file a complaint with the California Fair Political Practices Commission, or FPPC, according to Lewis. Lewis said the advertisements by the CRAH failed to aggregate donations, meaning that donations were listed as coming from multiple donors when they in fact came from the same property owner. 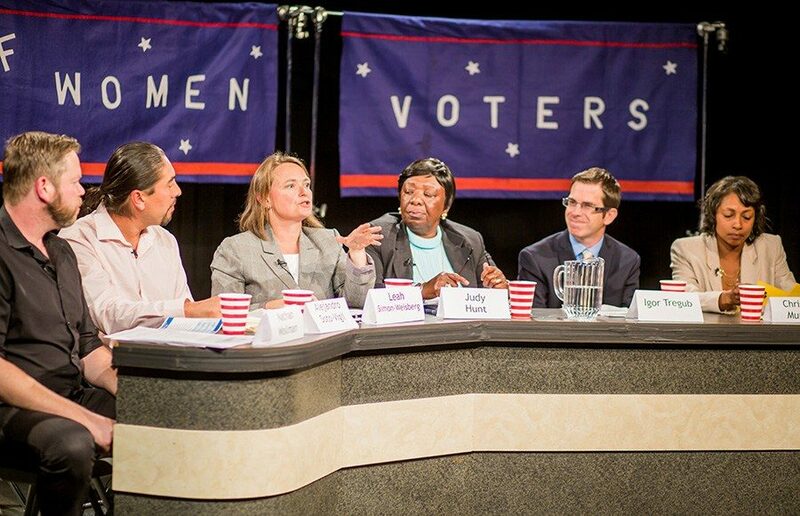 “It seems to be a deliberate attempt to confuse voters,” Lewis alleged. 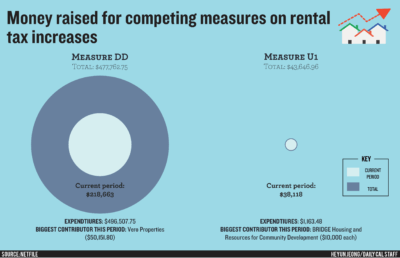 Both Measure U1 and Measure DD would fund affordable housing, but with different tax rates on landlords: DD would raise the tax rate from 1.081 percent to 1.5 percent, and U1 would raise the rate from 1.081 percent to 2.88 percent. If passed, DD would apply to landlords owning more than two units, while U1 would instead apply to property owners of more than four units. Krista Gulbransen, executive director of the Berkeley Rental Housing Coalition — the political arm of BPOA — said BPOA had received no notification from the FPPC as of Thursday. The Yes on Measure DD campaign could not be reached for comment. “It’s extremely important that voters know who funds campaigns so they can make an educated vote,” Lewis said. Lewis said he consulted with the FPPC’s advice hotline to determine if campaign practices were violated before filing the complaint. The PSA is also investigating whether the advertisements also violated the guidelines of the Berkeley Fair Campaign Practices Commission, Lewis said in an email. The FPPC will determine if the complaints are worth investigating, Lewis said. If the FPPC chooses to investigate a claim and finds that it’s valid, it may issue a warning letter or fine the organization responsible for the campaign violations, according to the FPPC website. “Even it if turns out that it’s not a violation, the fact is that it’s still extremely misleading, which is unethical,” Lewis said. Lewis, who is also the chair of the ASUC Housing Commission, said the ASUC and the PSA both endorse U1 because of the need for new affordable housing for students. The Committee for Real Affordable Housing argues that U1 will cause rent increases, according to the Yes on DD campaign website. Stefan Elgstrand, secretary of the Berkeley Tenants Union, said the Berkeley Tenants Union supported the FPPC filing. “We want to make sure that these groups that do these deceptive mailings are held accountable,” Elgstrand said.